Interactive communication platforms are the one of the key pillars of smart city and smart governance. Moving towards Smarter State and in order to improve the customer service and to proactively reach the consumers, Uttar Pradesh Power Corporation Limited (UPPCL) has taken a great initiative and has launched UPPCL 24X7 BIJLEE mobile app. This application is developed to make life easier and enable the officers to inform the consumers about breakdown and shutdown of power supply. On the other hand, consumers can register their complaints without calling the electricity office. To enable the interactive platform, it was required to enable the consumers to express their problems whereas the officers required an app that can help them in proactively informing the consumers about scheduled and unscheduled power cuts. These officers were in need to track and monitor the consumer complaints area wise. Further, consumers were in need of a safe and hassle-free payment option through which they can pay their electricity bills. UPPCL has taken a revolutionary action towards a hassle free and transparent system by launching mobile apps. UPPCL has given a great opportunity to Mobineers to develop UPPCL 24X7 BIJLEE mobile app for consumers and Energetic app for officers on AppSavy platform which were successfully developed under the guidance of Sh. Abhishek Prakash(IAS), Managing Director, PVVNL. 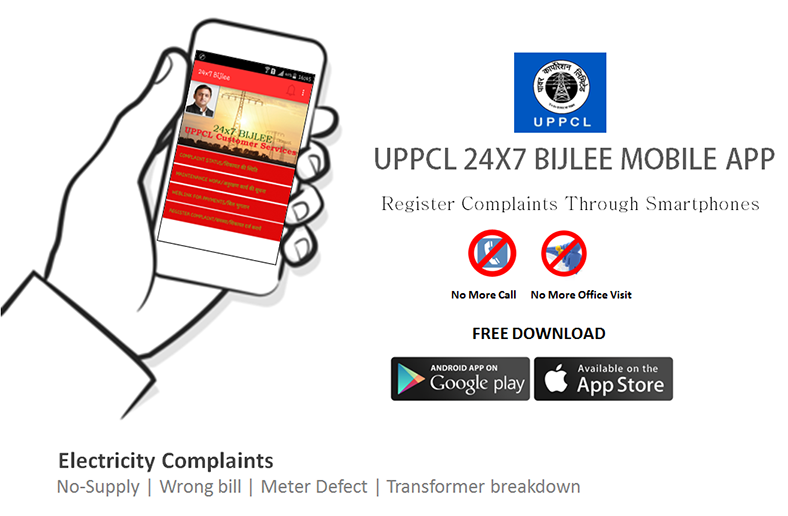 UPPCL 24X7 BIJLEE is a mobile app that has a feature to register complaints about no power supply, wrong meter reading, meter defect and other related issues. After registering the complaints, consumers will receive the prompt complaint status sent as notification to them. The major highlight of the app is the weblink to make online bill payments easily and safely. Shri Sanjay Agarwal, Hon’ble Principal Secretary Power, Govt. of UP and chairman, UPPCL has launched the revolutionary UPPCL 24X7 BIJLEE mobile app. This mobile app is being considered as a significant milestone in the journey to improve the customer services in State of Uttar Pradesh. Now, the consumers can avoid visiting the electricity office to make complaints about power issues as they can do it easily through the app from within the comforts of their home. Now with the advance information about the unscheduled power cut, consumers can plan their day accordingly and don’t have to worry about the uncertainties.